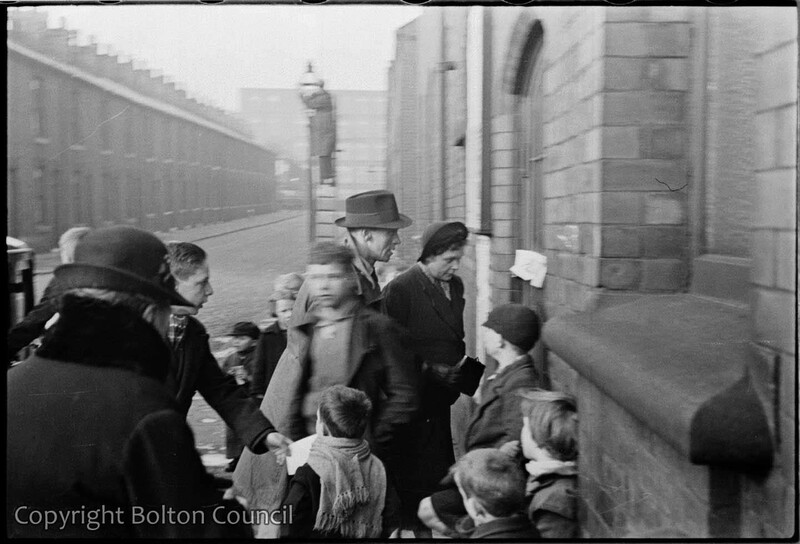 Outside the polling station at St Thomas School on the day of the 1938 Farnworth by-election. A man puts out the street lamp in the background of the photographs. Mass Observation’s team in Bolton helped the Labour party candidate George Tomlinson to victory. They used their research into public opinion to influence voters. Tomlinson went on to become Minister for Education in Clement Atlee’s post-war government, and held his seat in Farnworth until his death in 1952.